Oh Gosh, y’all! I haven’t enjoyed making a craft this much in awhile. 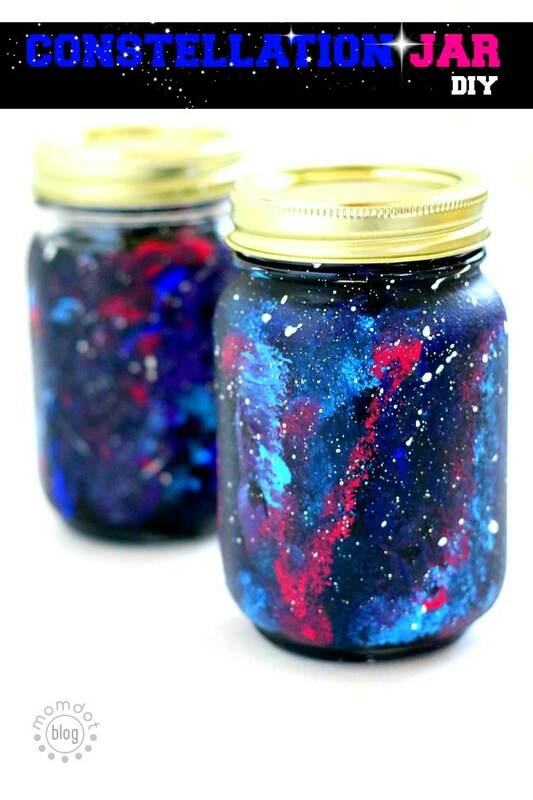 I love love this Constellation Jar. If your kids enjoy looking at the night sky, they will too! You can do this with nearly anything glass you have- mason jar, wine bottle, bowl, really the choice is yours, and it doesn’t require a steady hand or any art skill, so put that out of your head right now. 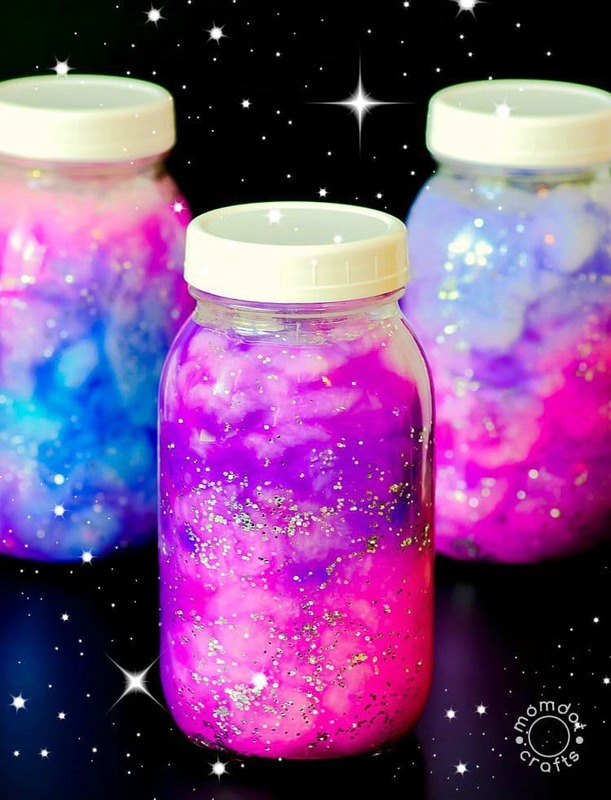 Now before we get started on this constellation jar, I wanted to make sure you knew about other fun jar crafts you can do here! First things first. 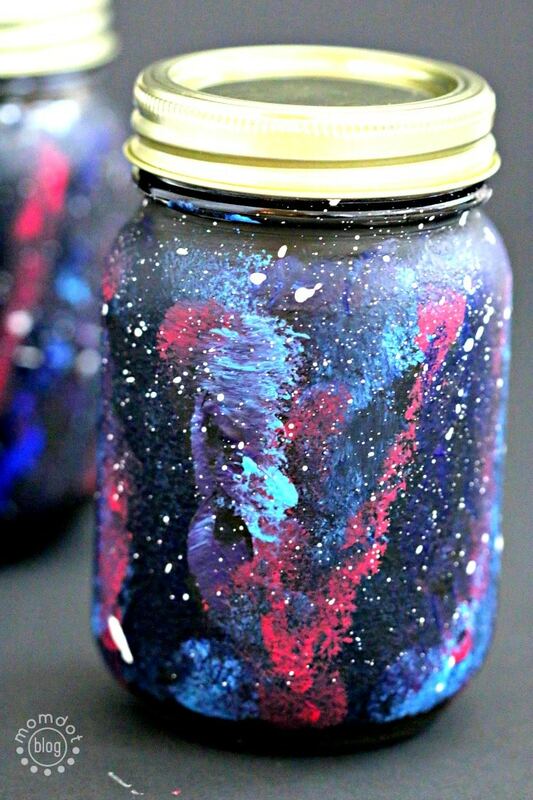 Paint your jar entirely black. If you have the patience, let it dry all the way. If not, let it dry most of the way. 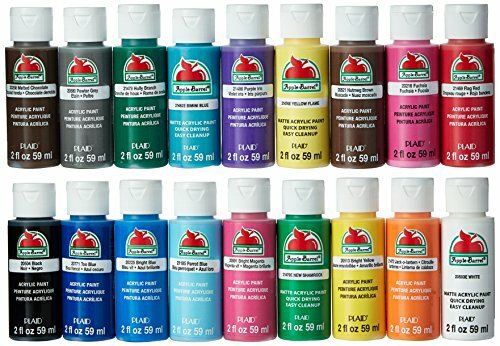 I fall under the “it looks dry enough” crowd, but keep in mind that your black will mix in with your other colors as you do this and may take more than one coat if you don’t wait. Once your black is read, start by sponging on your blue and light blue. I use a round sponge like this one and make V shapes all over the bottle. If you do a little at a time, you can build up the look of the jar. Once I was happy with alternating blues, I started adding pinks and purples for the look below. 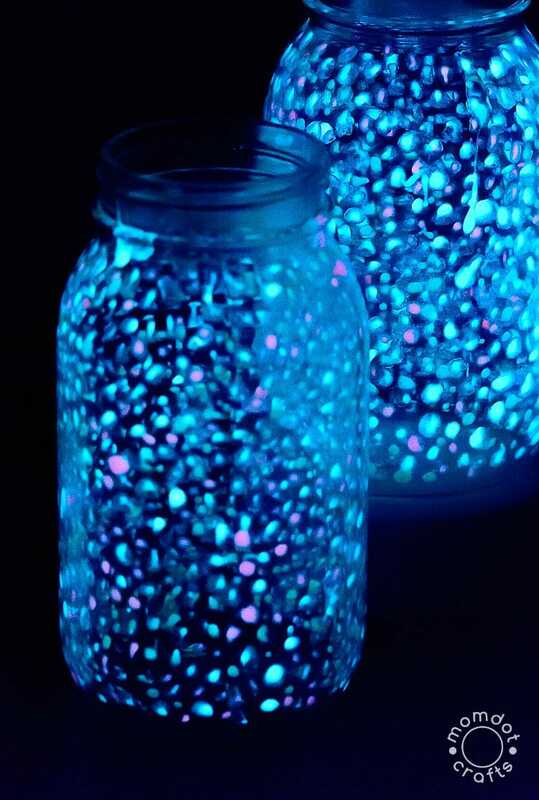 Now you can decide if you want to use white paint or glow in the dark paint to add the stars. The white paint goes on easier because it’s thicker. 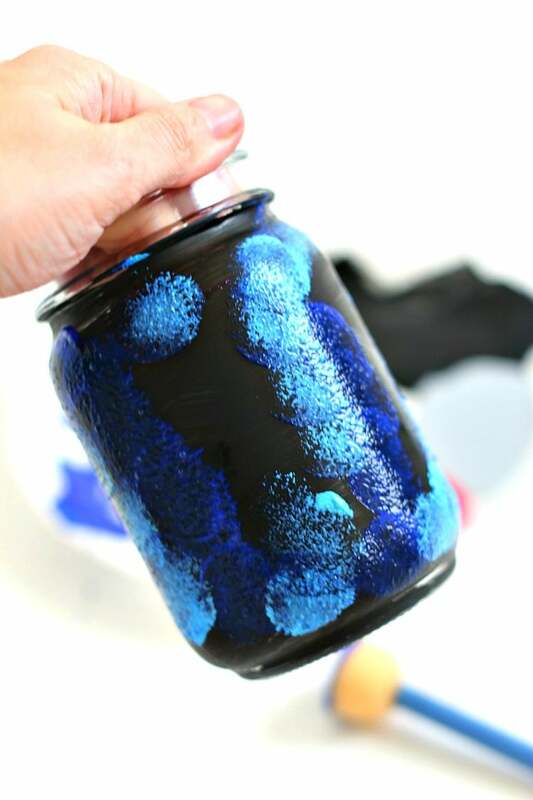 You simply dab a regular paint brush and use your finger to flick the paint onto the jar. 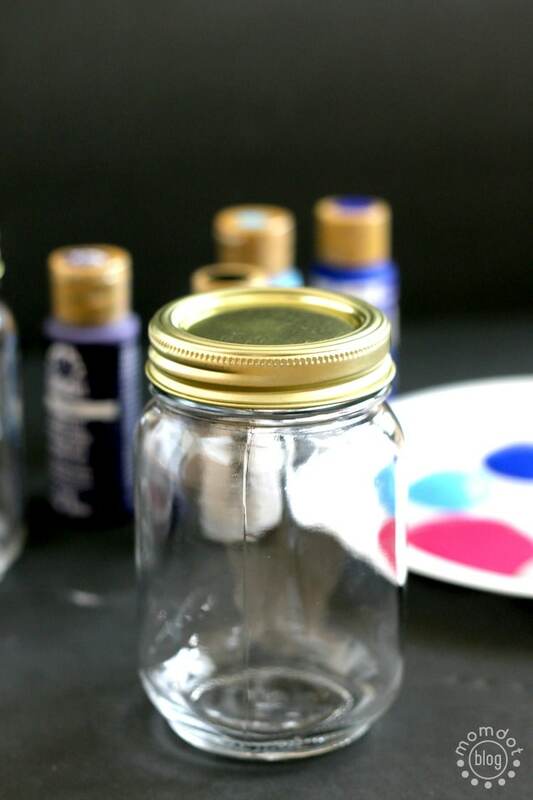 Make sure your jar is on a piece of paper because paint will fling in several places. 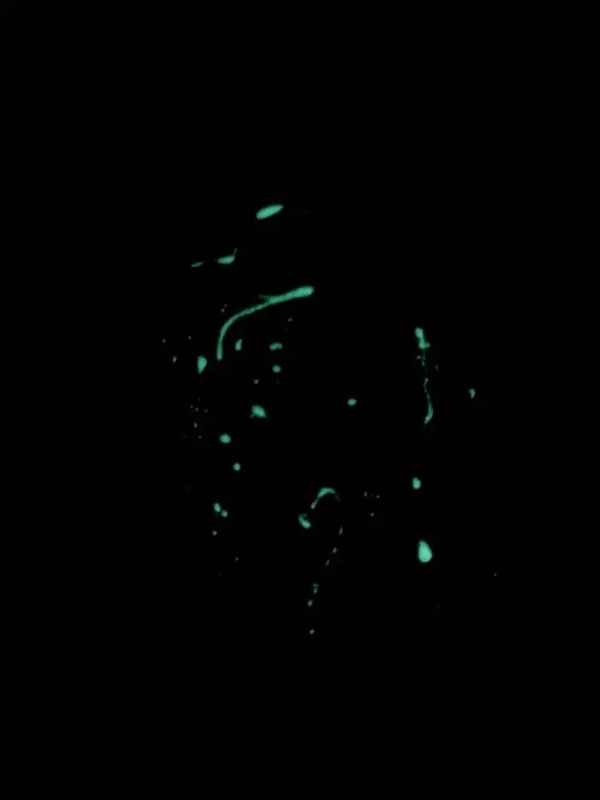 If you are using glow in the dark paint, I find that it’s runnier and tends to put more paint out than tiny dots, so be aware that you may get more splatters and less dots. In the jar below, I did BOTH on the same jar. I think the key here is to not be afraid of it. Love this craft? Try these! 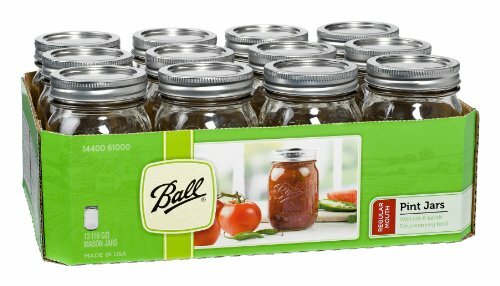 Just click below to check out these two fun jars.